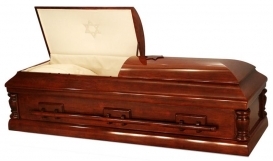 This grand casket is constructed of Solid Cherry in beautiful hand polished cherry stain. Elegant & attractive design includes distinctive master-crafted details. 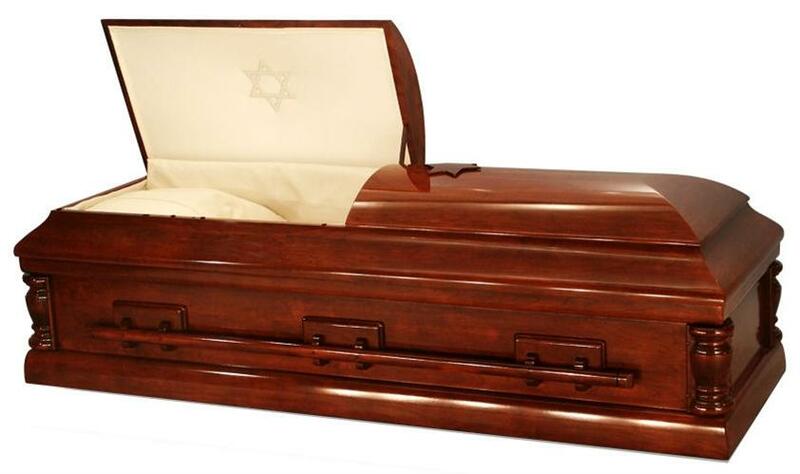 Built using wooden dowels and glue with the jewish star on the crown of the casket.